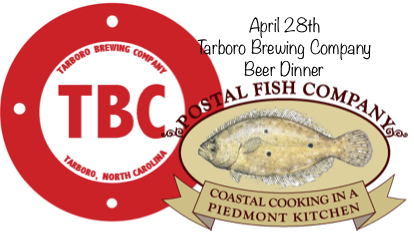 Postal Fish Co. is a Southern Atlantic Fish House restaurant in the Piedmont of North Carolina. James and Bill have over 40 years of combined cooking experience and have spent the last decade developing and learning about the underutilized bounty of our coastal waters. Join us and be drawn into a place where the sweet smells of the ocean flow thru the air and the sounds of Blues to Classic Rock create the perfect climate! Our comfortable atmosphere, top-notch service, and great food will turn you into one of our new friends for a long time to come. Keep up to date with us by subscribing to our Newsletter. We respect your privacy; we will never give your data to third parties, and you can unsubscribe at any time. Most of the world is covered by water. A fisherman's job is simple: Pick out the best parts. Sunday from 11am til 2pm.